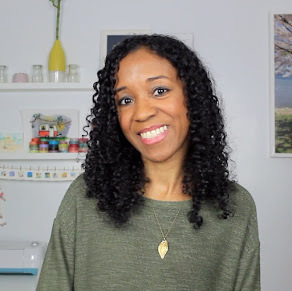 When I was looking for someone to write about life in Florence, I was so fortunate to stumble upon Rob and Kate Hash's blog La Vita è Bella. I think mine would be too if I were so lucky to qualify for a dual citizenship in the U.S. and Italy and stay as long as I wish. That said, I think just being able to experience the city for a few days is pretty damn good...even if I do have to return home eventually. 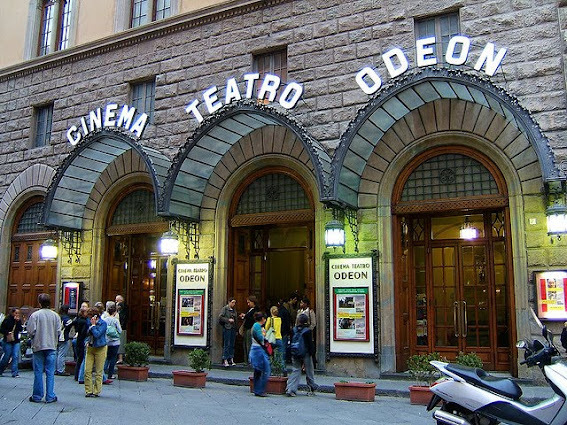 One of the most beautiful movie theaters that you will ever step foot in, the Odeon plays a great variety of American, Italian and foreign films. The best part? "Libero Ingresso" or "Free Entrance" movies are pretty common -- just the other day I saw "Per un Pugno di Dollari/A Fistful of Dollars" with my Clint Eastwood-loving husband. After a long day of touring, can you think of anything better than catching a great flick in gorgeous surroundings? You can check out the schedule here. If you happen to be in town on the last Tuesday of the month, be sure to enjoy state museums' extended hours. When most tourists are heading out to dinner, those in-the-know are heading out for free entrance to some of the city's best museums. If you're lucky enough to be in town during a White Night celebration, make sure you do not miss it. Typically two are held in the late-Spring/early-Summer -- one in the city center and the other in the Oltrarno (my neighborhood!). 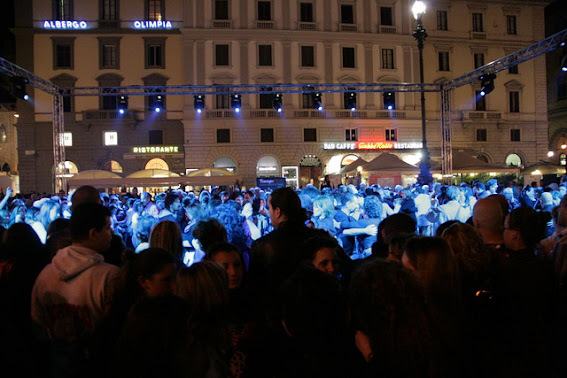 Great entertainment, tasty food and streets packed with people combine for a spirited atmosphere. 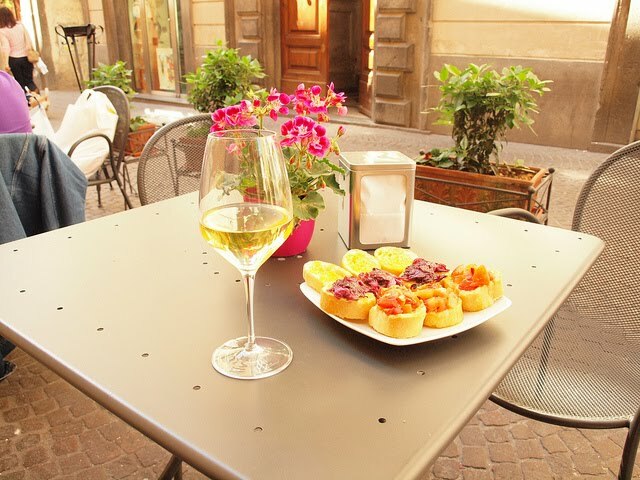 Google "Notte Bianca" to see if your trip dates match up to a celebration. Ask five people to recommend the best gelato in the city and you will get five different answers. Gelato is a very personal thing! Do you like yours creamy or icy? Rich or sweet? Chunky or smooth? So many questions, so little time. My suggestion? Dedicate an entire day to tasting gelato at random gelaterias that you see around town. It's gluttonous, but also fun -- because in the process of looking for shops you are bound to find corners of the city that you didn't know existed. I'm sure I'd be gaga over Free Museum Tuesdays. Especially Galleria dell'Accademia. I might even be able to manage walkign across Ponte Vecchio. I'd say this is excellent advice for ANYWHERE in Italy!! Ciao!